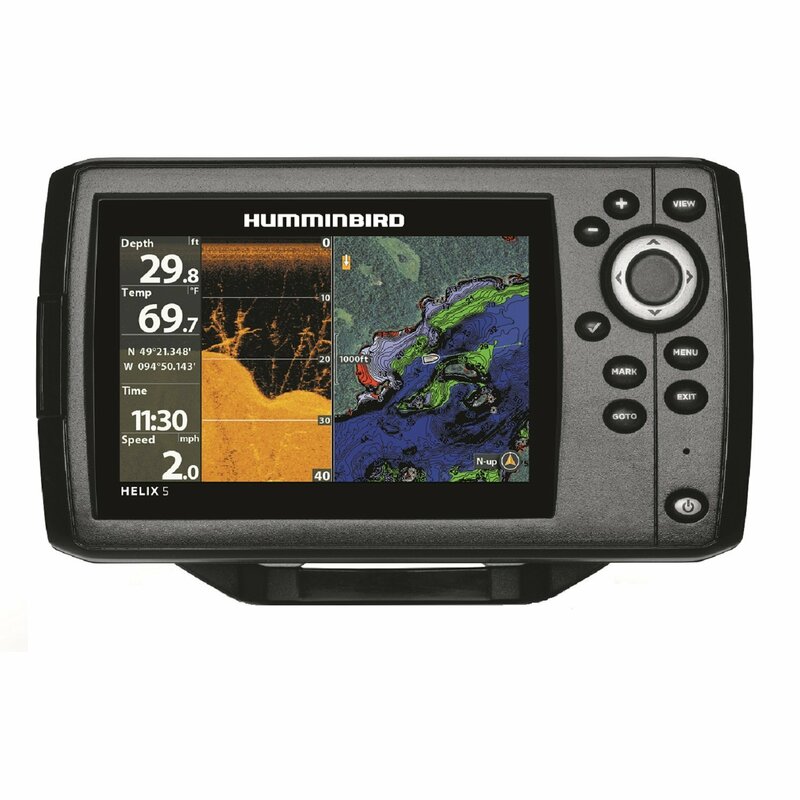 Humminbird 678c HD DI has an average rating of 4 out of 5 based on 1 user reviews. The new 600 series from Humminbird was conceived to meet the requirements of anglers who want a sleek but unobtrusive medium sized, easy to read screen and all of the features of larger, more expensive fishfinders. The 600 series offers anglers world-class fish finding without the need to compromise space for other instrumentation, regardless if the unit is gimbal mounted or flush mounted in the dash. The 678 model, priced at $399, is least the expensive option in the 600 lineup. The Humminbird 678c HD DI is a fishfinder only model without GPS. It has a 5″ high-definition color screen with a 640 x 480 resolution. There are three new color pallets that offer more flexibility in bright daylight or overcast conditions. The 678c combines the DualBeam sonar with down imaging to create a picture of what’s underneath the boat no matter the conditions. The SwitchFire feature that controls the broadband sonar has two unique modes. In the Clear Mode the software will filter through the sonar returns and only display the structure and the fish. This mode is great for reducing undesired clutter in the water column. The Max Mode gives greater detail on the screen from the sonar returns. This mode provides complete underwater coverage. In addition the Dual Beam Plus provides individually selectable wide and narrow beams, which can be melded into one display or viewed individually. Fish that are hidden in bottom clutter will be revealed by the precision, 20 degree beam. For greater coverage there is the wider, 60 degree beam. These beams can be viewed together to obtain a complete picture, side by side, or separately. Maximum depths for the 678c are 350′ for down imaging and 600′ for broadband sonar. No matter the type of fishing trip, the Humminbird 678c HD DI fishfinder is ready, willing and able to help land the big one and make any day on the water one to remember. You can get a great deal on Humminbird 678c HD DI here. This unit is a pleasure to use, it has lot of different features. I’ve been playing with it for a month now and I’m still tweaking the settings. It is however very sensitive to interference from the trolling motor. I had to change my transducer installation a few times before I finally got it right.